Exercise is more important than you might think. Scientific evidence is increasingly showing that physical exercise is not only good for your figure, it’s also good for your memory. It’s an important tool in slowing the effects of aging on the brain and possibly even delaying the onset of Alzheimer’s. Health care professionals have long touted the benefits of exercise for a healthy heart, but exercise also helps with ease of movement, improves your posture, makes your joints more stable, and decreases chronic pain. Did you know that it also can lead to better sleep patterns and emotional well-being? So, what are you waiting for? It’s Never Too Early to Start… Regular exercise during your middle years may lower your risk of developing Alzheimer’s disease in old age, say researchers from Sweden. They studied men and women aged 65 to 79 who had previously been given detailed surveys about their physical activities back in 1972, 1977, 1982, and 1987, when most were in their thirties, forties, or fifties. When the researchers assessed these individuals again in 1998, they found that those who, in their middle years, exercised during their free time at least twice a week were 60 percent less likely to develop Alzheimer’s disease, compared to the men and women who exercised less. They were also 50 percent less likely to develop other forms of dementia and memory loss. Physical activity appeared to be particularly beneficial for those who carried the APO-E4 gene, an inherited trait that increases a person’s risk of developing Alzheimer’s in old age. 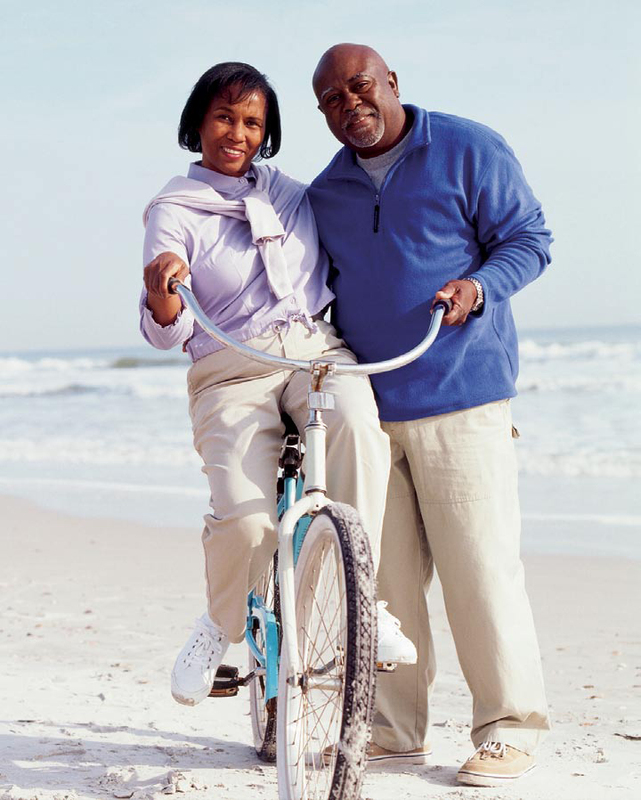 And It’s Never Too Late… Exercise benefits healthy older seniors, as well. Researchers at the Rush Alzheimer’s Disease Center in Chicago found that for healthy seniors with intact memory (average age was 80), the risk of becoming disabled fell 7 percent for every hour spent each week being physically active. Regular physical activity also greatly cut the risk of dying. Exercise allowed older adults to better carry out everyday activities like walking short distances, eating meals, getting dressed, preparing meals, shopping, and housekeeping. Regular physical activity boosts blood flow to organs throughout the body, including the brain, and may provide an extra boost for seniors with or without Alzheimer’s. Before You Start… If you are a man over 40, a woman over 50, or if you have been inactive for an extended period of time, the U.S. Surgeon General recommends consulting with your physician before starting any serious physical fitness regime. You need to be aware of any health risks that are present and discuss any pre-existing medical conditions that may impact your activity level (e.g. respiratory problems, etc.). With the number of cases of Alzheimer’s expected to triple in coming decades as the baby boom generation continues to age, physical fitness could have a huge overall impact on preventing or delaying the onset of Alzheimer’s in many. While no known single lifestyle can determine who actually comes down with the memory-ravaging ailment, exercise appears to be one important factor that lowers the risk. like walking, swimming, water aerobics, or stationary bicycling — build “staying power” and improve the health of the heart and circulatory system. These are exercises that increase heart rate and breathing for an extended period of time. Build up endurance gradually, starting with as little as five minutes of endurance activities at a time, if needed. These ladies combine both endurance and strengthening exercises by walking with hand weights. which build muscle tissue and reduce muscle loss, also increase metabolism, which helps keep weight and blood sugar in check. Yoga involves stretching and balance exercises. help keep the body limber and flexible, and they give more freedom of movement. But stretching exercises alone will not improve endurance or strength. Source: www.ALZinfo.org. 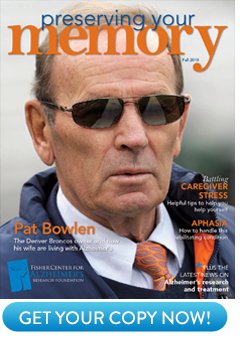 Preserving Your Memory: The Magazine of Health and Hope; Summer 2007.